Pepsi Vs Coke, Playstation Vs Xbox, Nike vs Reebok. Honda Vs Toyota. What do all these rivalries have in common? Is one brand better than its rival? Maybe in some aspects, but then in others it loses the competitive edge. Is there a fool-proof way to gauge the absolute worth of a brand over its counterpart? There isn’t. What makes one brand stand out from its arch-rival is the perception of it in the mind of the consumer. And what influences the perception of the consumer? Marketing, pure and simple. Without it, one brand just cannot claim superiority over its rival brand. As long as you are hammering the consumer consistently in an unobtrusive way, rest assured that your brand will prevail. Of course the brands being compared need to be equivalent in performance and quality before the marketing effect comes into play. Chinese brands like Geely and Jialing can do all the marketing in the world and still not be able to come at par with the likes of Honda and Toyota. And what is Honda and Toyota doing about it in Pakistan? These rival brands are following entirely different branding strategies for their sub-brands City and Corolla, based on their brand persona (real or perceived) in this part of the world. While in the rest of the world, Honda and Toyota have the brand essence of ‘the car of the middle-class man’; in Pakistan they both are more of a status symbol for the well-offs. 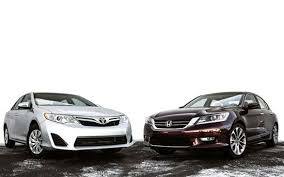 Even between Honda and Toyota, the prestige varies considerably. While Toyota is seen in majority on the roads, and has more of a resale value, it’s the Honda which is considered more prestigious with respect to Toyota. And the launch of the Civic Reborn augmented this perception even more. Even the launch of the new stylish model of Corolla hasn’t been able to unseat the Civic Reborn from its prestigious standing. One major reason for that is that Corolla is trying to be all things to everyone. It is trying to appeal to different segments of the society with just one model. Although the specifications vary greatly from 1.3 XLI to 2.0D to 1.8 Altis, the look and the basic specifications remain essentially the same. Why would someone who can afford an Altis buy it when his lesser counterpart has essentially the same car (1.3 XLI) at a far lesser price? If he’s paying more, it’s not for the superior technical specifications but for the chance to be able to stand out from the lesser mortals who can’t afford an expensive car. And who would know it better than Toyota who launched the best-selling Lexus but kept the parent brand name Toyota away from it because Lexus was being projected as a luxury car and the makers knew that Toyota name had the brand essence of an economical car. And yet, in spite of knowing this branding principle, they’ve made the cardinal mistake of offering the same car to both the haves and the have-nots. At the moment, they seem to be getting away with it due to even bigger follies of its counterparts. But they are suffering as well as far as Altis is concerned due to this branding strategy. In spite of all the great features –Cruisetronic and all – the models which seem to be riding high are the Xli and the GLi, which don’t have any of the new features. Out of the total Corollas in production, roughly 50% are GLi, 40% are Xli and a mere 10% are Altis. Xli is the least expensive one with the minimum features, and a standard practice amongst the consumers is to buy a Xli, scrap that label and put the GLi label in its place. This is a poignant consumer insight which points to consumer’s aversion to being associated with an Xli as well as the identical look of the two models so much so that you can fool anyone by simply changing the label. Honda on the other hand, has been shrewd at least in the sense of branding according to socio-economic class. They have the City to cater to the middle to upper middle class and the Civic to cater to the executive class. 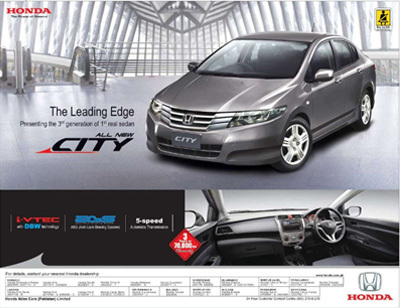 The price of Honda City was traditionally less than the price of the Corolla’s XLI and GLI models. 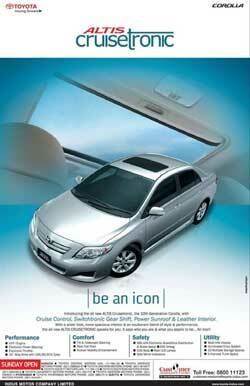 However the new model (the third generation) of City saw prices of this brand soar past its Corolla counterparts. Not a bad move by itself, considering the fact that the new City is many notches above its previous model in terms of style. Unfortunately for Honda, the new Corolla model which was launched just a few months prior to the City launch caught the fancy of the target market. This combined with the fact that Toyota really dug into the launch campaign which was aggressive at least by the standards of the Pakistani automobile industry. It encompassed all the media, and most importantly hammered incessantly their USP (Unique Selling Proposition/Point)- the Cruisetronic feature, whereby you could put the car on cruise control at a certain speed without sweating it out yourself. However, from a consumer point of view, it wasn’t the USP that triggered the chain reaction of sales. It was the similarity of look to that of Camry especially from the front and the fact that the car is designed in such a way that its body appears wider and lower than not only its previous model, but wider than the City and Liana as well, both of whom have focused on stretching the car vertical rather than horizontal. In reality, the new Corolla is a mere 60mm (6cm) wider than its previous model. Common sense suggests that, considering the nature and width of roads in Pakistan, it is better to make cars that have narrow body but are vertically elongated to create more space within the passenger cabin. This shape unfortunately gives the look of a ‘dabba’ (box) instead of a stylish car. Toyota took a risk with the wider body (or maybe it was based on consumer survey), and the results are for all to see. The million dollar question is, how did Toyota finally come to grips with the fact that its Corolla is remarkably mediocre in style and all things aesthetic, shaped like a ‘Dabba’ rather than a sedan for the upper class? And how did they know precisely that the consumer wanted a ‘Camry’ look. An educated guess is that they conducted an exhaustive research to gauge the consumer reaction. Although groundbreaking in this part of the world, this is nothing new in the international automobile industry. Ford conducts (or used to conduct) Style Research Clinics to assess consumer reactions to exterior and interior styling of new automotive designs. What they did was create fibreglass prototype or mock-ups of proposed models. Then by conducting short telephone interviews, they recruited respondents who were then brought to a showroom where the test car mock-up was kept. Personal interviews of the respondents were conducted after they were exposed to the mock-up seeking comments about each and every detail of the mock-up. The results were then sent to the designers in Detroit to streamline the design. Cars such as the Ford Taurus, Mercury Sable and the Jaguar S-type were the direct results of these style clinics. Even Chrysler got in on the act by giving the respondents Gridpad ( a flat 8X10” box, more of a touchscreen) while they were inspecting the new models. MCQs would be flashed on the screen of the Gridpad asking about the aspects of the model and the consumer would answer then and there while observing the new model. One strategy that has become the norm in the West and amazingly missing in this part of the world is CSI- not Crime Scene Investigation mind you, but Customer Satisfaction Index. Although specifically created for the automobile industry by J.David Power III in 1967, it has spawned to include every brand and industry under the sun. And yet in Pakistan, it is applied by not even a single company, not even the MNCs! There isn’t a singe CSI in the world right now, but many CSIs depending upon the country. There’s the US version, the UK version , the Japanese version etc, all segmented by industries. However, judging by the Google top results, the US version run by ACSI seems to be the most popular. On that index, Toyota was the reigning champion a couple of years ago with 88 points. Now it has come down considerably to be at par with Honda, somewhere in the early 80s range. The point is, a Pakistani version would go a long way in making brand take stock of their consumers’ satisfaction levels. It would even help those brands who take more care of their customers get ahead of the pack without having to spend a fortune on advertising. Right now, the order of the day in the Pakistani brandscape is that you can get away with murder literally if you have got money to throw on brand communication.